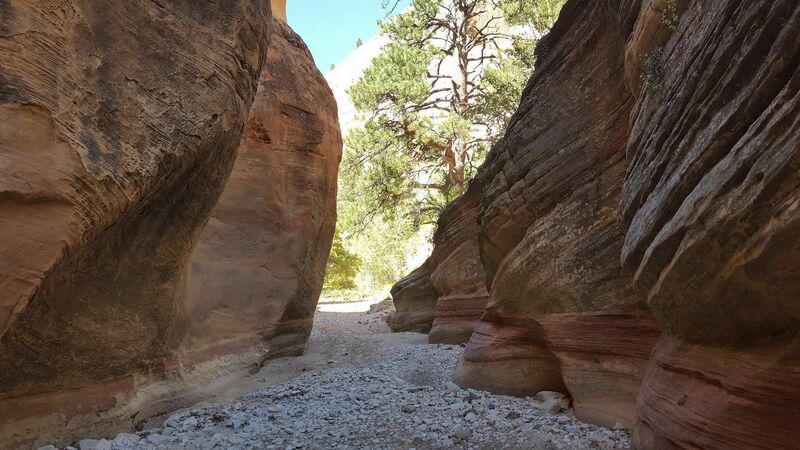 Looking for a great trail in Zion National Park, Utah? 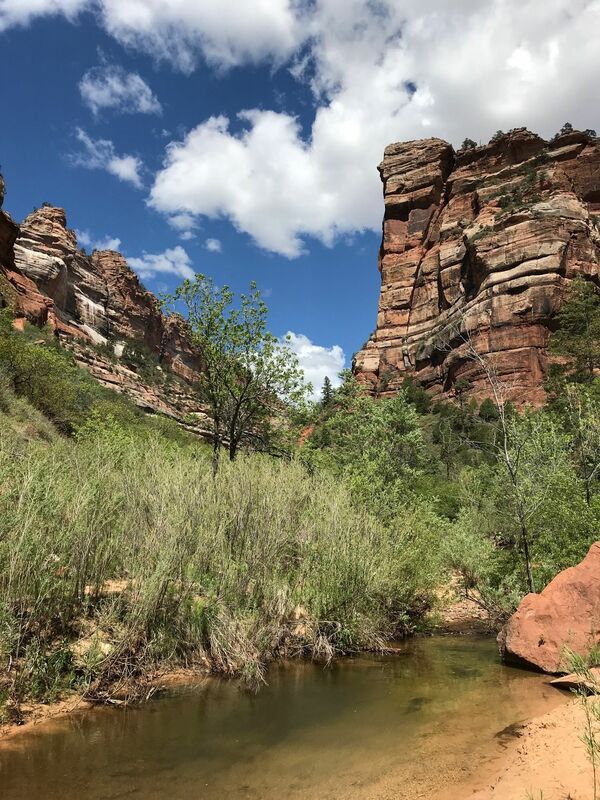 AllTrails has 91 great hiking trails, trail running trails, views trails and more, with hand-curated trail maps and driving directions as well as detailed reviews and photos from hikers, campers, and nature lovers like you. Ready for some activity? 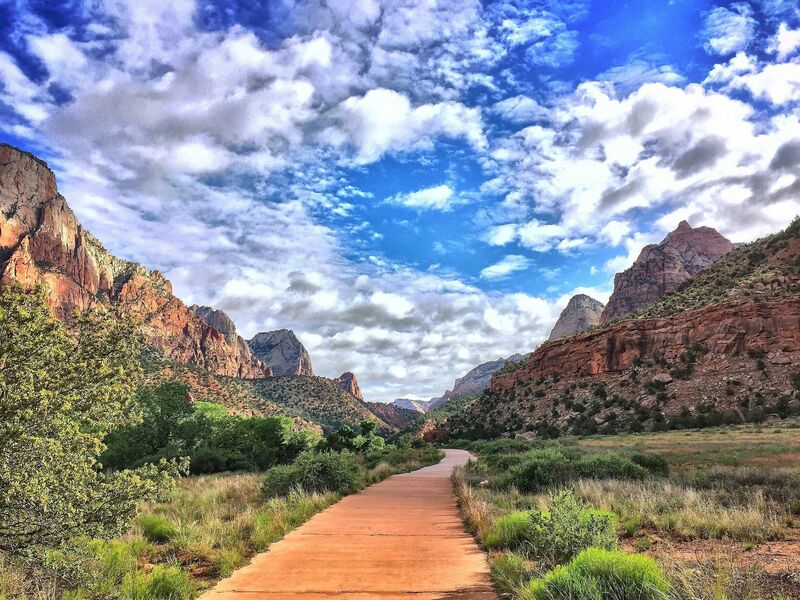 There are 35 moderate trails in Zion National Park ranging from 0.7 to 18.6 miles and from 3,661 to 7,463 feet above sea level. Start checking them out and you'll be out on the trail in no time! 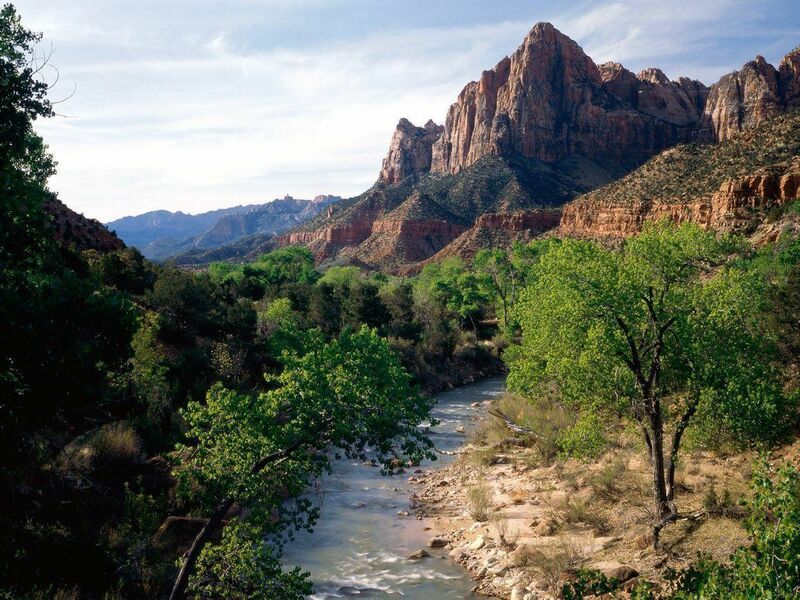 Zion National Park, located in Southern Utah, is a popular destination in the Southwestern United states with beautiful views and a unique landscape. 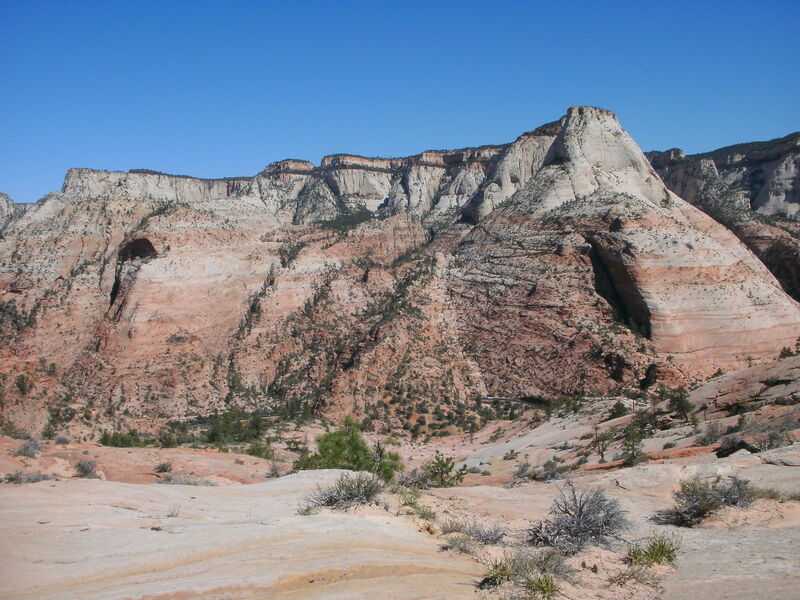 It was the first national park in Utah and and is best experienced hiking among the high cliffs and through the narrow canyons. 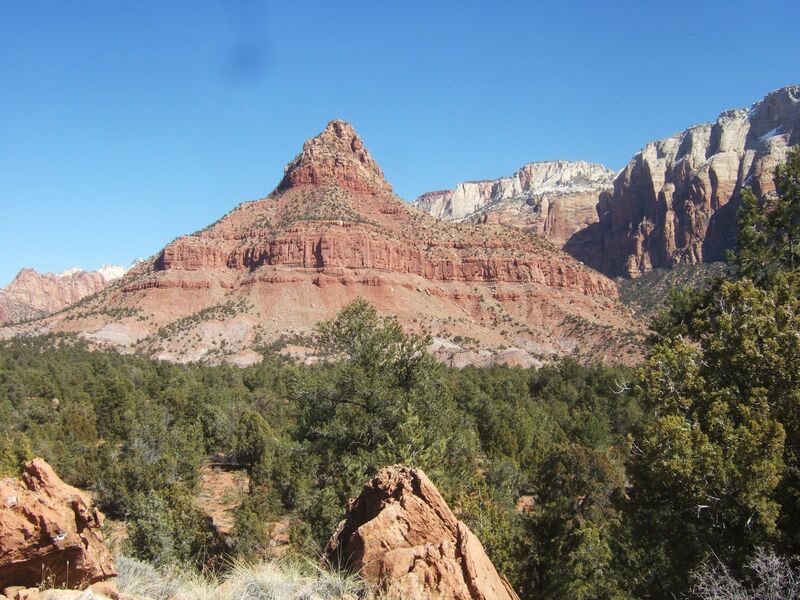 The park is home to some very popular hikes and sights - it is truly a hiker's park. 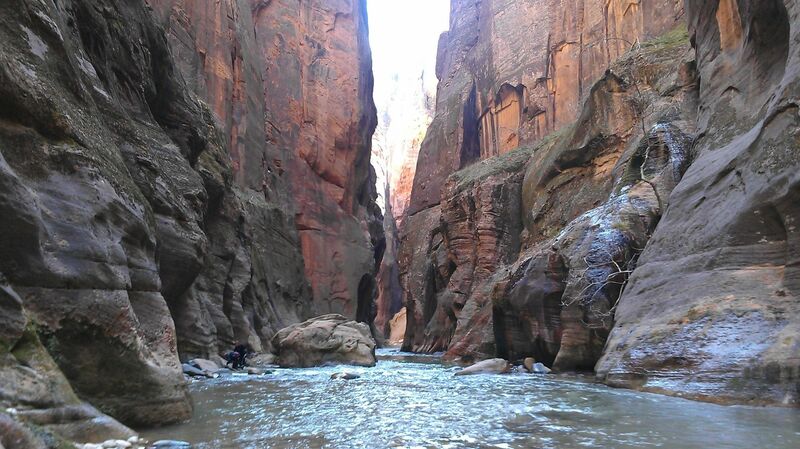 On the Narrows you walk for miles up a river with sheer canyon walls on either side of you. 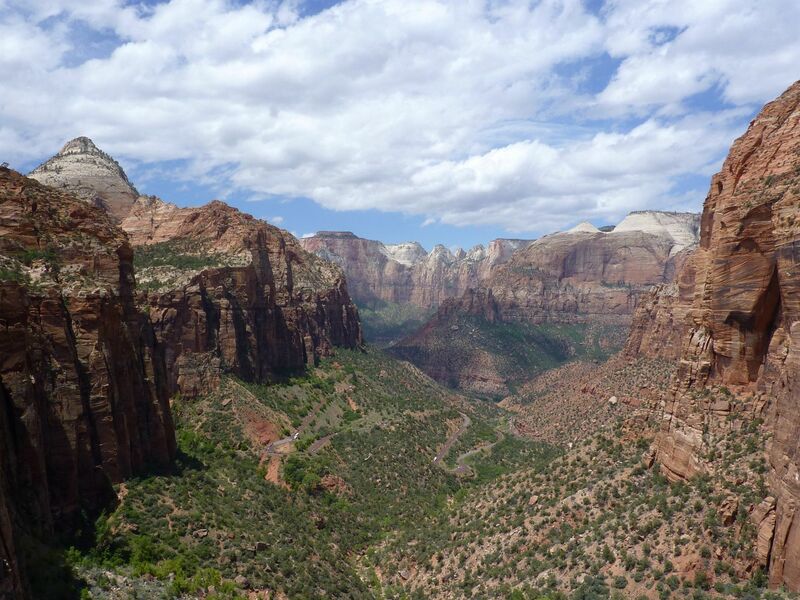 The Angels Landing Trail has 21 switchbacks to the top of Angels Landing which boasts a spectacular canyon overlook. 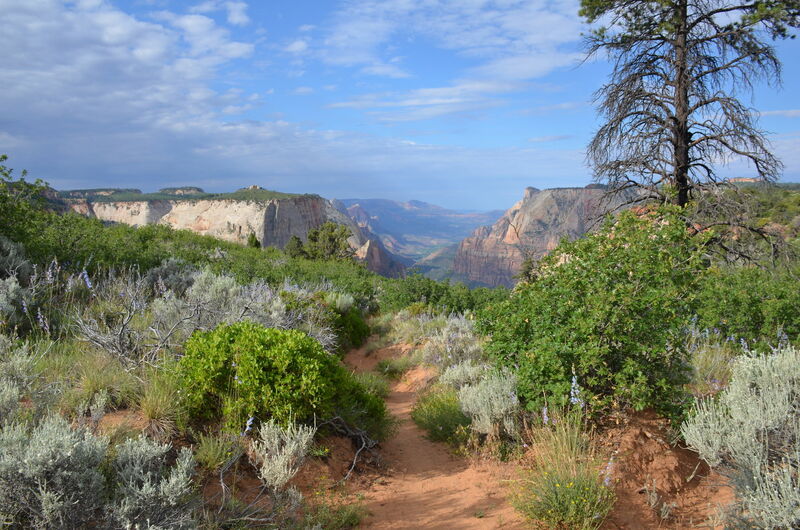 The East Rim Trail takes you to Observation Point, the highest point in the park. 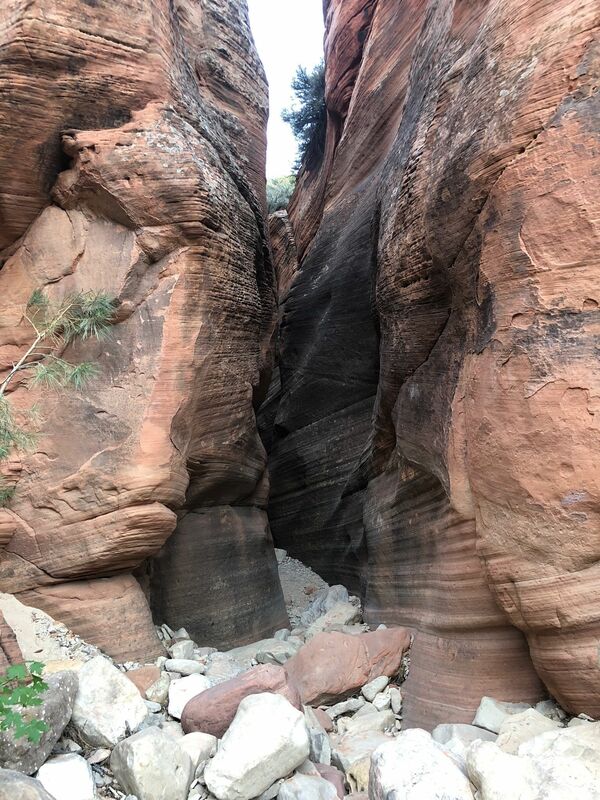 The Subway Trail is a unique slot canyon trail that traverses through the left fork of North Creek. 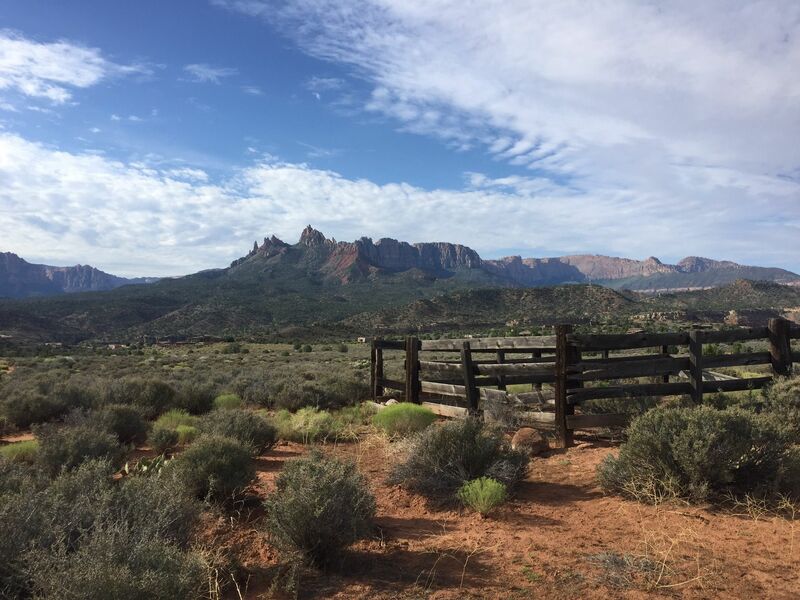 The Kayenta Trail is a great option for families with canyon views and provides access to other trails in park. 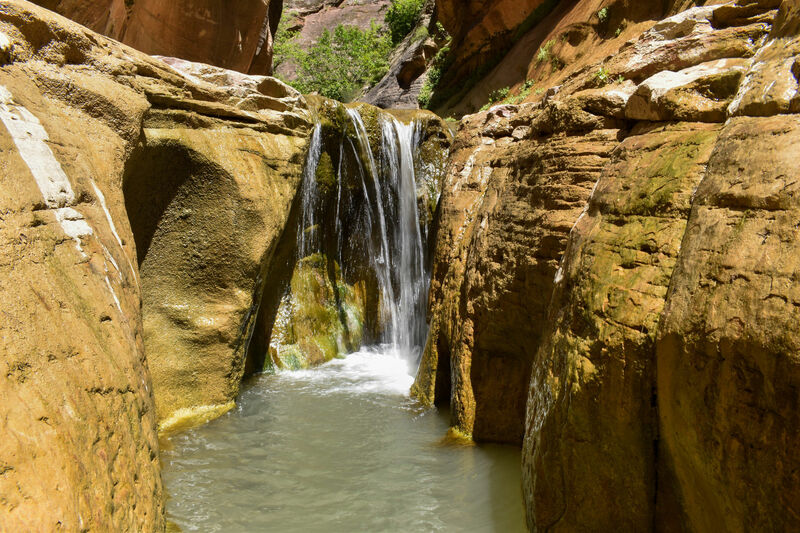 The Emerald Pools trail is a paved trail that starts from the Zion Lodge and takes you to Lower Emerald Pool and from there a sandy and rocky trail to the Upper Emerald Pool at the base of a cliff. 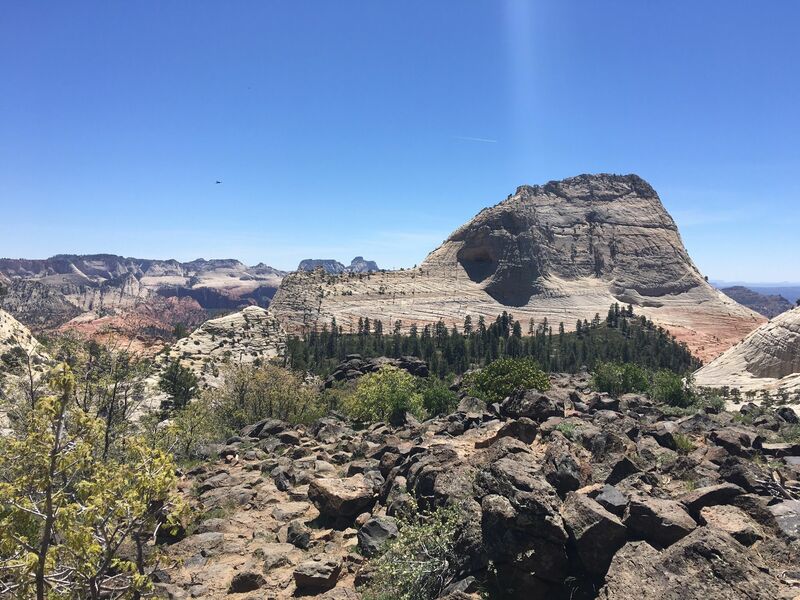 West Rim Trail is a two night backpacking trail takes you to from the Grotto trailhead to Lava Point and offers spectacular views of the park. 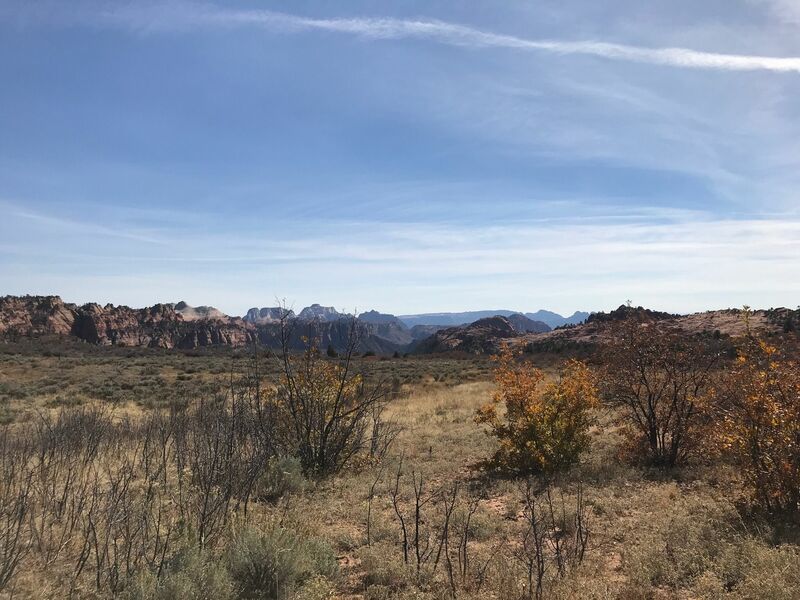 You can also rent bikes and ride the Pa’rus trail within the park to observe the main canyon of the park in a short amount of time. 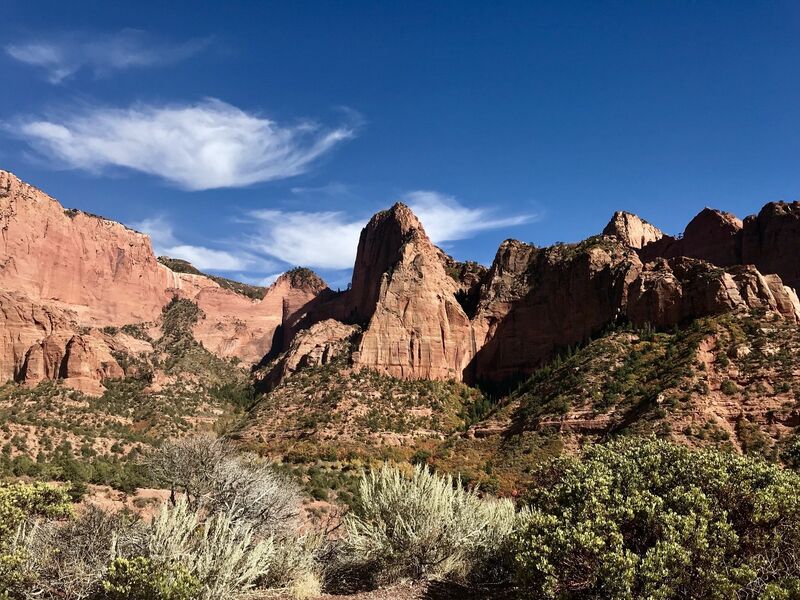 The lesser known area of Kolob Canyon, located on Kolob Terrace Road, contains trails such as the Middle Fork of Taylor Creek Trail and the Kolob Arch Trail. 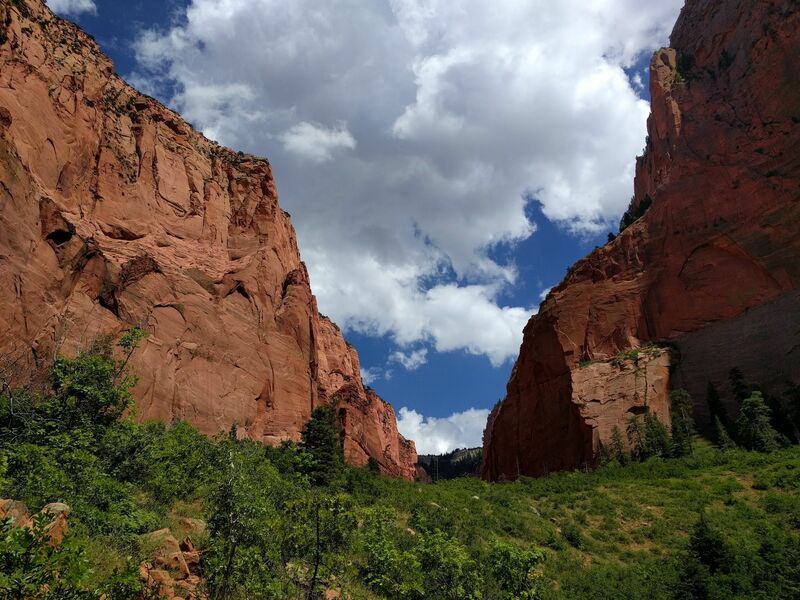 Many people access the Kolob Canyon area from the scenic drive located off I-15 exit #40. 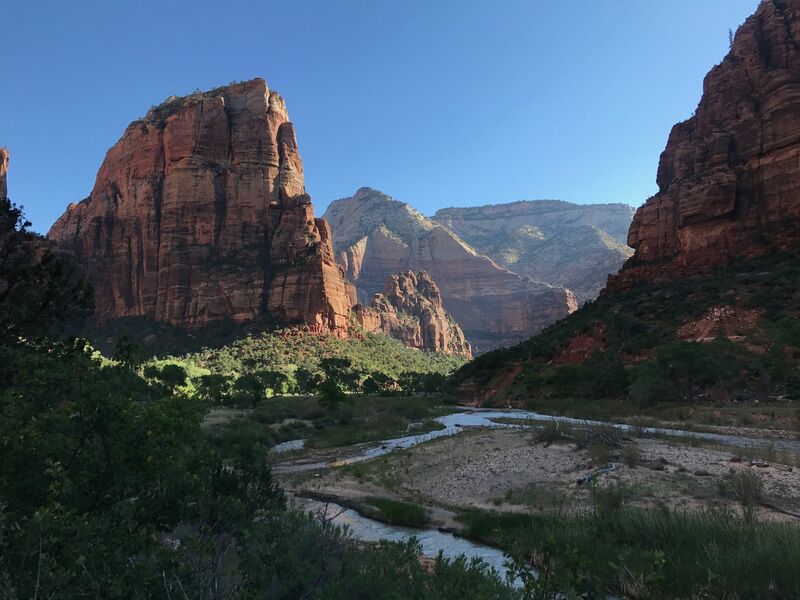 Many of the zion hikes require permits, which you can pick up from the visitor center prior to heading out on your hike. 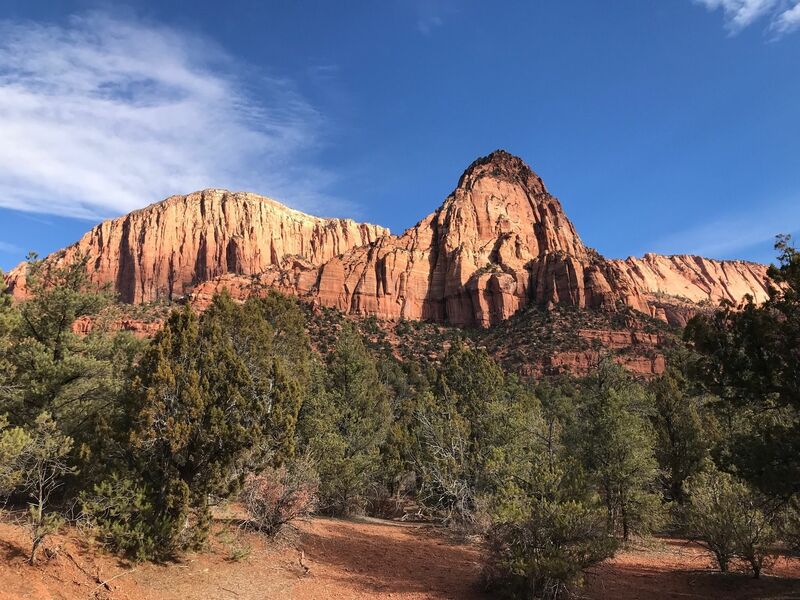 Aside in addition to the excellent hiking trails, this geologically unique area has colorful sandstone canyons, high plateaus, and rock towers. 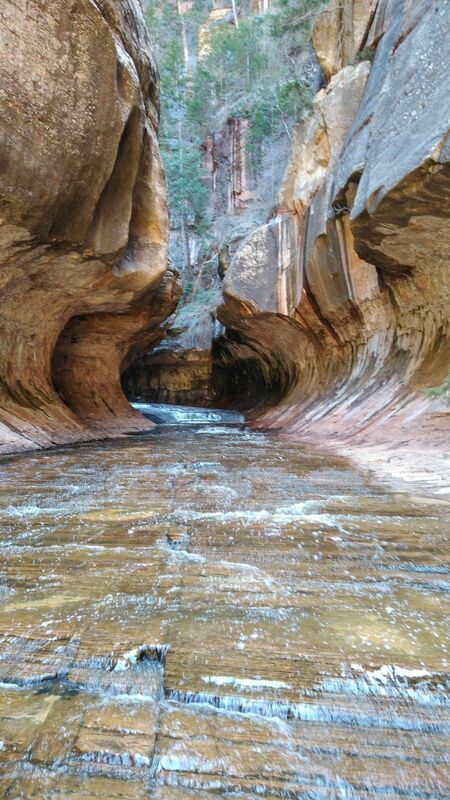 Natural arches and exposed formations of the Colorado Plateau make up a large wilderness of diverse ecosystems. 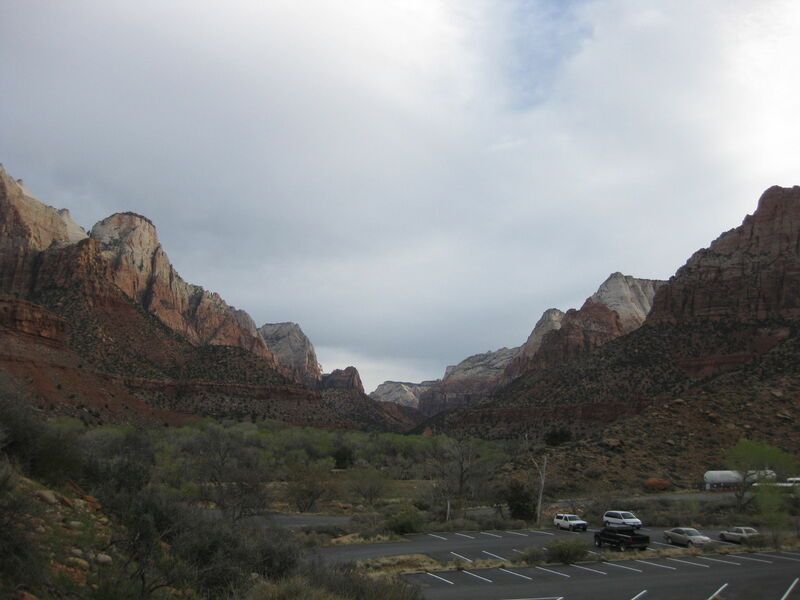 Route 9, which traverses the park from east to west, is open year-round to private vehicles. This area is prone to flash floods so be prepared for hazardous driving conditions during and immediately following storms. Icy spots remain through the winter. 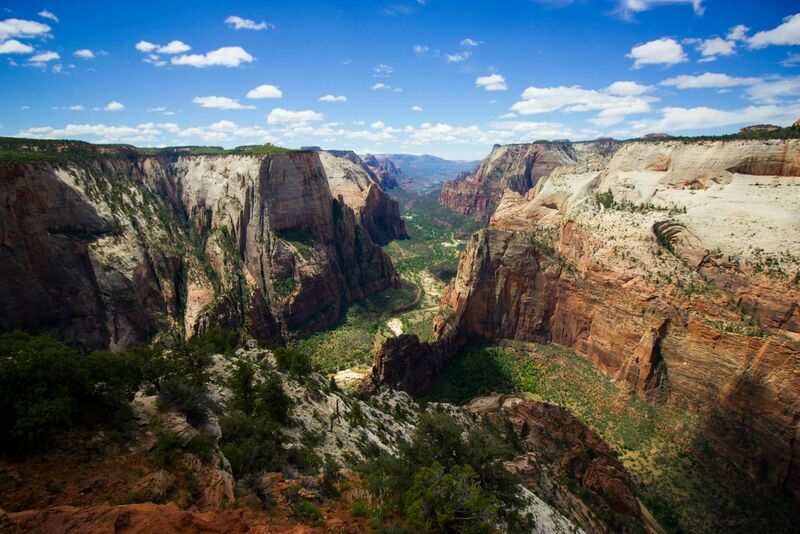 Stunning and surreal views! I can't wait to go back! 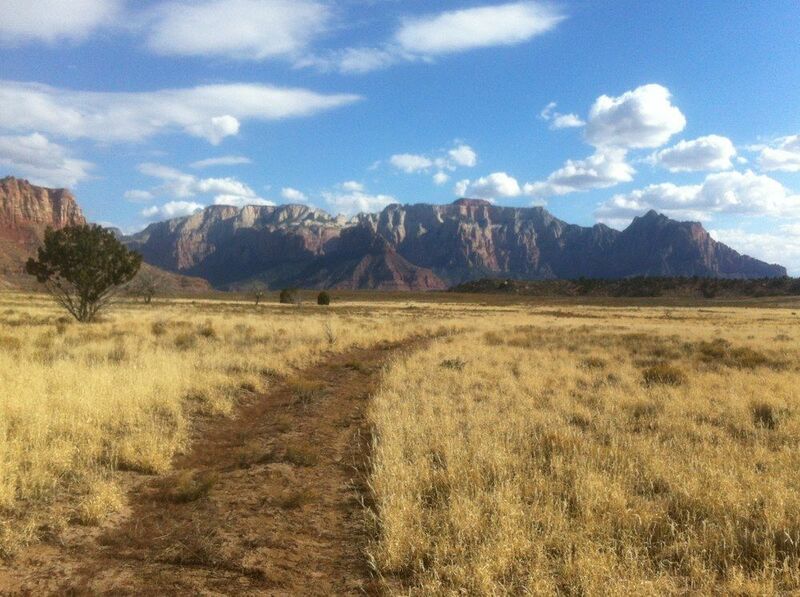 Nice short trail with good views. Best views are back towards the east which you can get from the parking lot. Coalpits Wash from the trailhead to campsite 6 was about two miles and a perfect first backpacking trip for our family of four including two girls ages three and five. The trail was dry with lots of fire ants along the way. Only the very beginning was shaded. The trail was fairly easy to follow and we were able to get through some steep dried wash crossings just fine in trail runners with trekking poles and the few times we had to cross the stream, we easily made it stepping on rocks, steadied with a trekking pole, sometimes even while carrying the three year old. Campsite 6 was gorgeous and had a couple of perfect tent spots. A third tent spot had a new fire ant hill right in the middle of it, so we were glad we didn't need it. The creek is close and the sounds of water and frogs are the perfect white noises to fall asleep to. There was frost on our packs and tents in the morning, but as soon as the sun moved into the canyon, things warmed right up. Will definitely plan on visiting again! 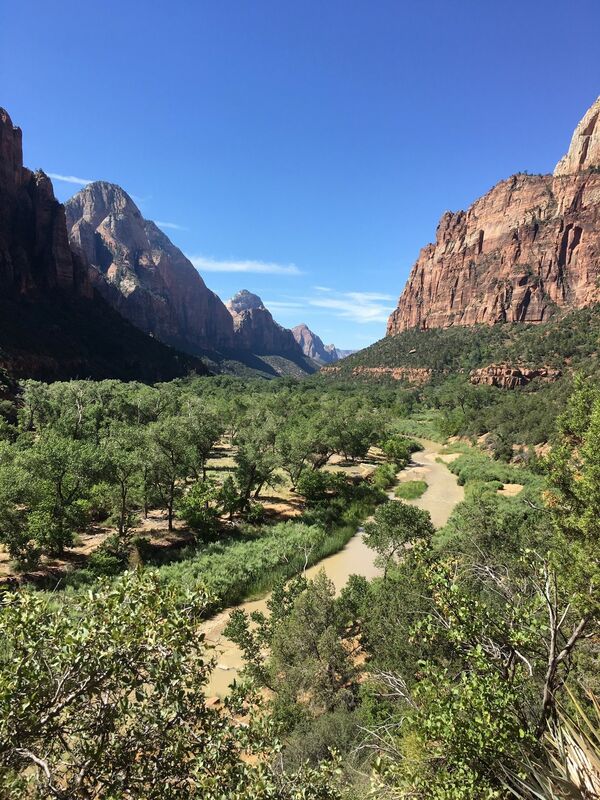 Best views are at the very end of the trail! No need to stop for photos until then! Happy hiking! 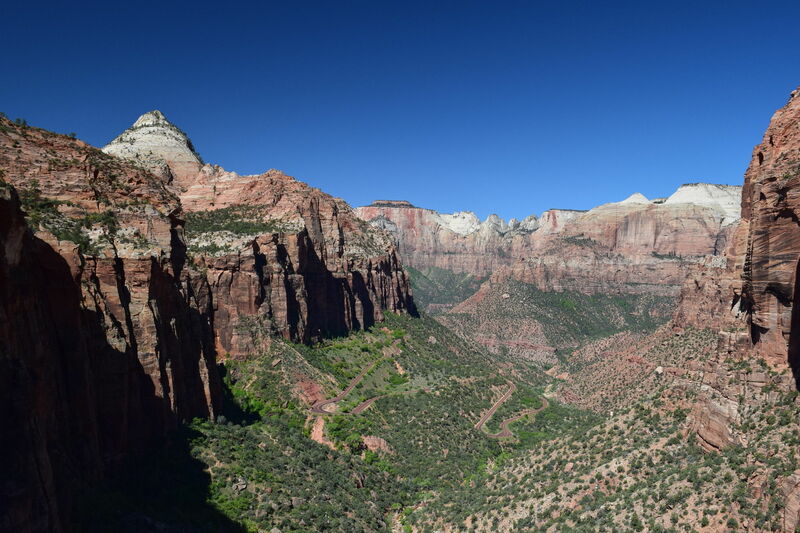 This is an excellent way to still hike Observation Point given the trail closures. We encountered next to no one during the six hours it took to complete. 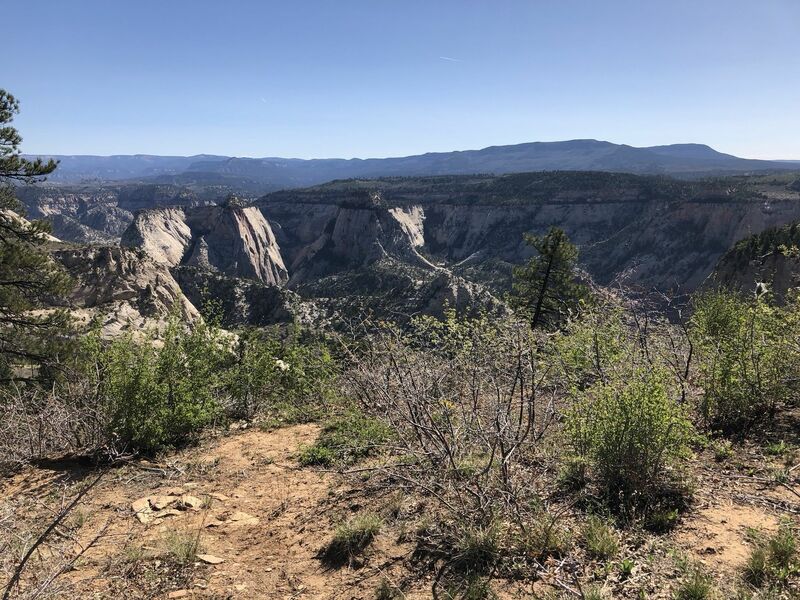 It is a difficult trail- a lot of elevation change and you need to go down into the canyon and back up just to get to Observation Point, but it was well worth it. 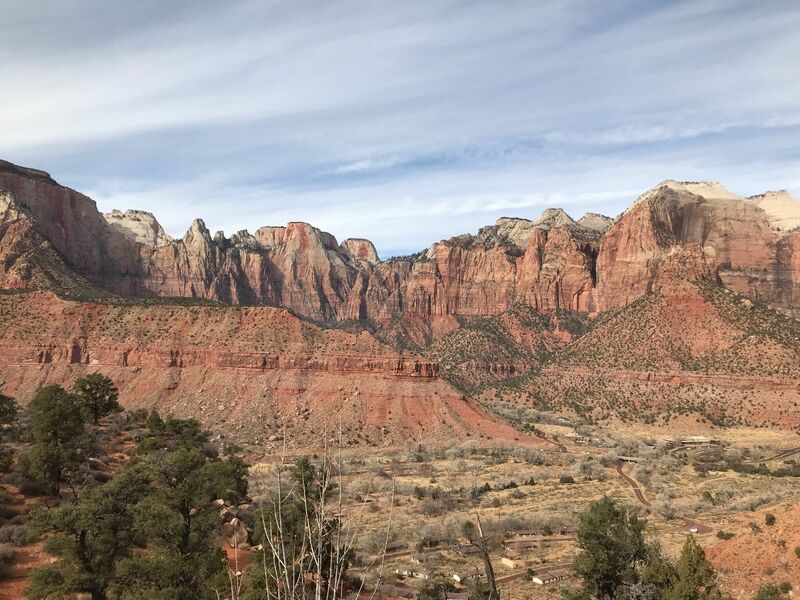 Especially if you happen to be staying on the East side of Zion, this is an great way to avoid a nearly 4 hour round trip drive to get to the main Zion canyon given the UT-9 road closure. Note there is not much of a parking lot at the trailhead and it is a bit sloppy getting back there. Went during rainfall. 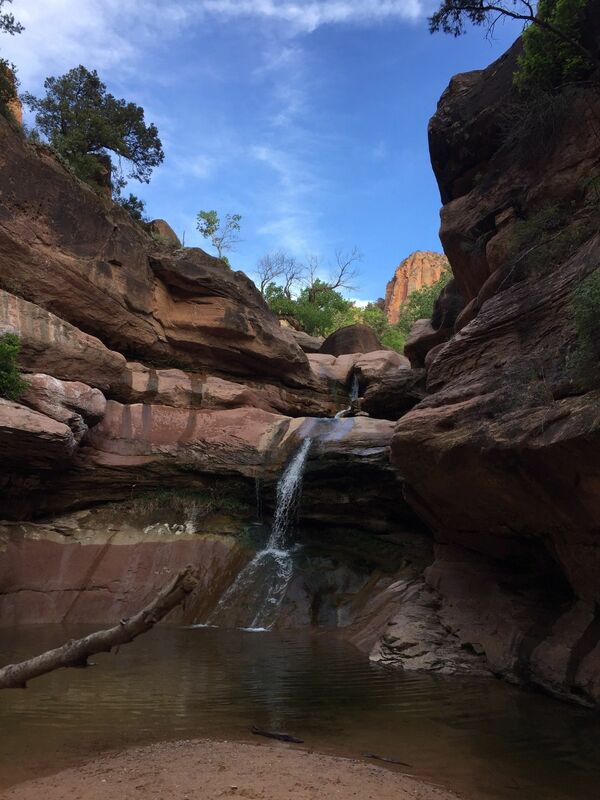 No crowds, waterfall was huge (during/after rainfall), abundant wildflowers and trees, absolutely breathtaking. We even saw deer feeding right by/crossing the trail. Would do again and recommend 100%. My son and I got an early start before 7 on a crisp, clear morning. We were the only ones on the trail until faster folk started catching us around Scouts Landing. 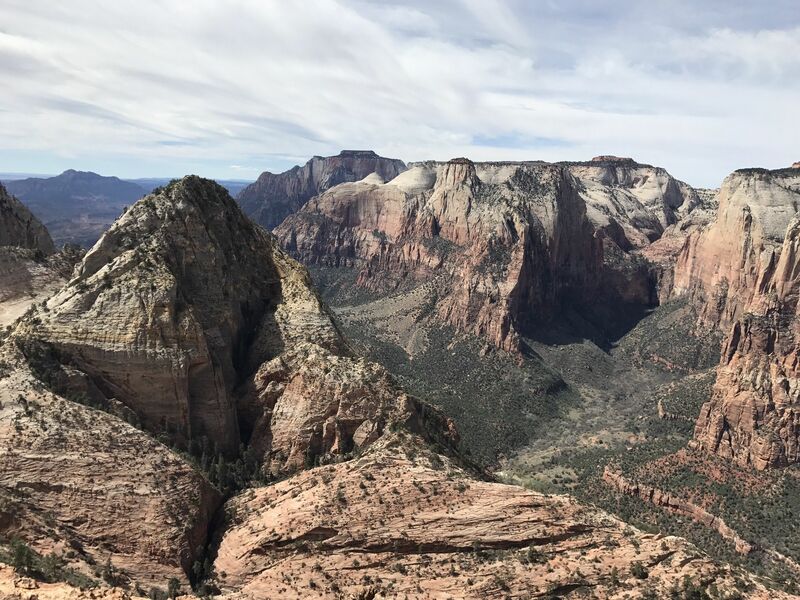 By the time we started back down from Angels Landing, it was getting crowded and the last chained area before Scouts Landing, people ascending were getting a little pushy. Glad we got an early start. 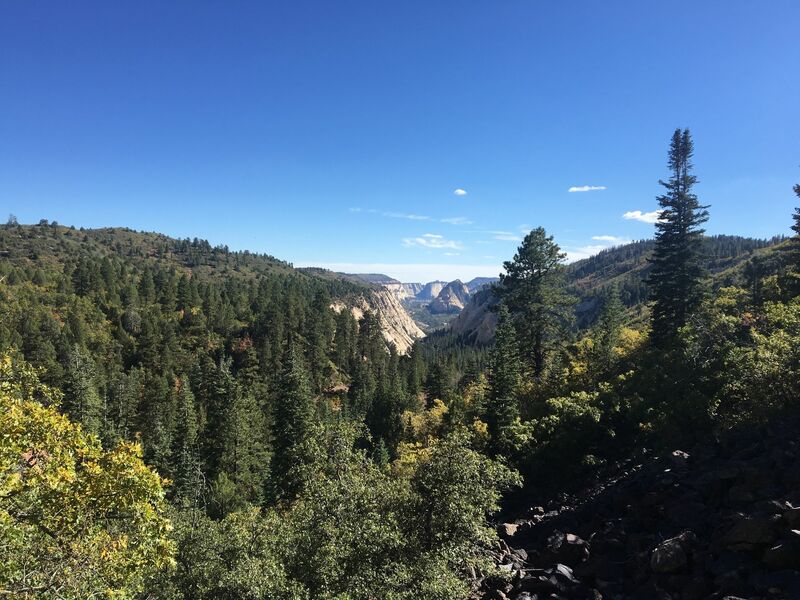 Amazing trail and views, one of my top 3 favorite hikes for sure. Worth checking out. Piece of cake little walk, but good for pictures and to see. Nice little walk around the river. Great for anyone really, but definitely good for families and a more easy walk. Beautiful and worth checking out for anyone. Beautiful in the rain and fog! More of an easy hike/walk than moderate. I’d say it’s only moderate if you’re a pretty inactive person to start with. 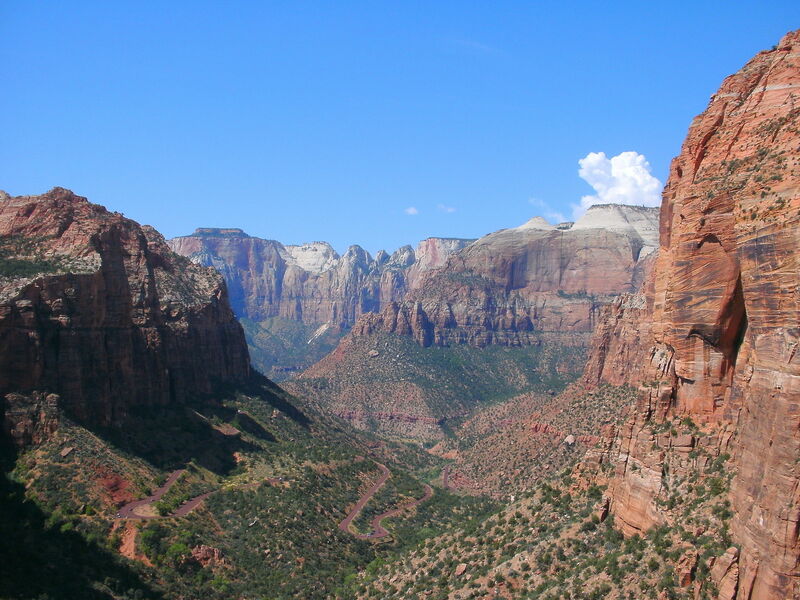 It’s a good family friendly easy hike for sure - not amazing but still worth doing especially if you’re short on time. Trail is easy to follow. 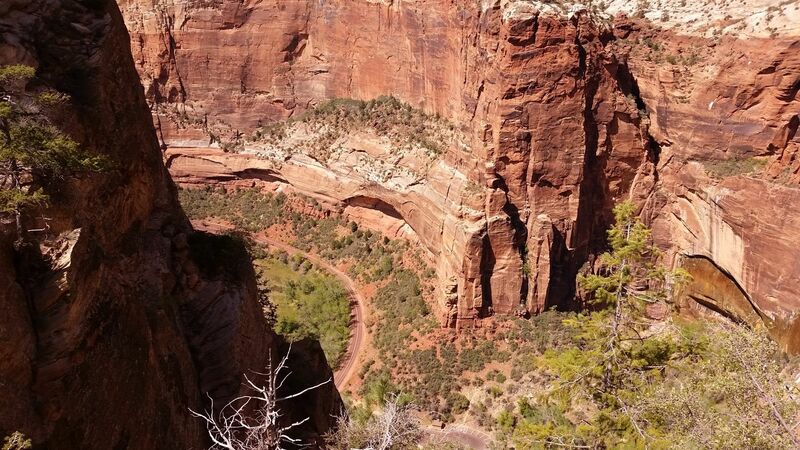 If you're going this far, you may as well go all the way to the Arch. The last mile returning to the car sucked. Weather was perfect, but since it rained the day before, it was pretty muddy. Creek crossings were easy today. Left car at 8am. 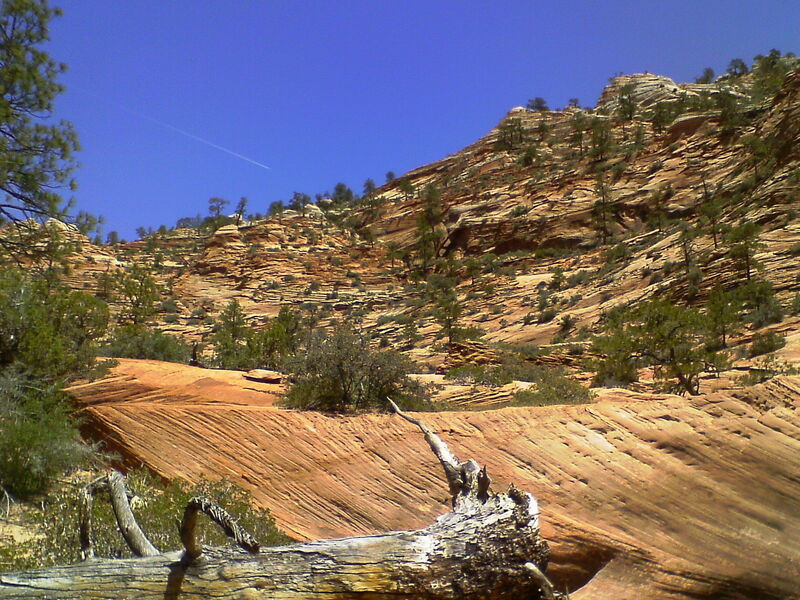 Came across one other person until the Kolob Arch spur, then about 20 while on the spur. Came across 30-ish on the return to the car. Glad to check this trail off the to-do list. 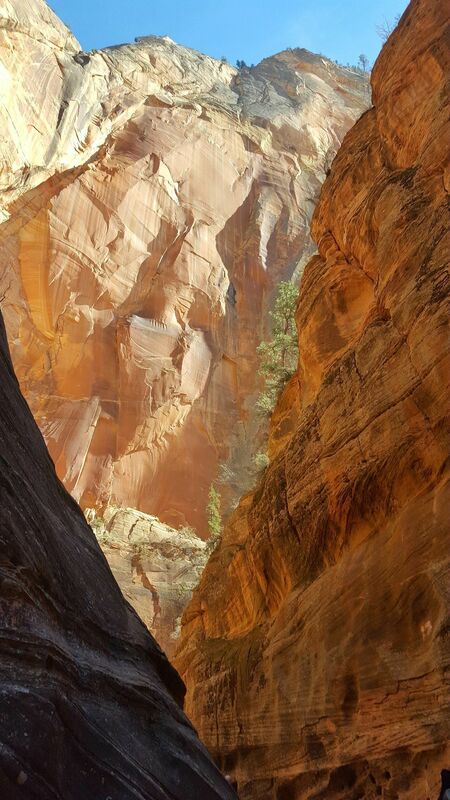 Beautiful canyon. Not a huge amount to add over other reviews. 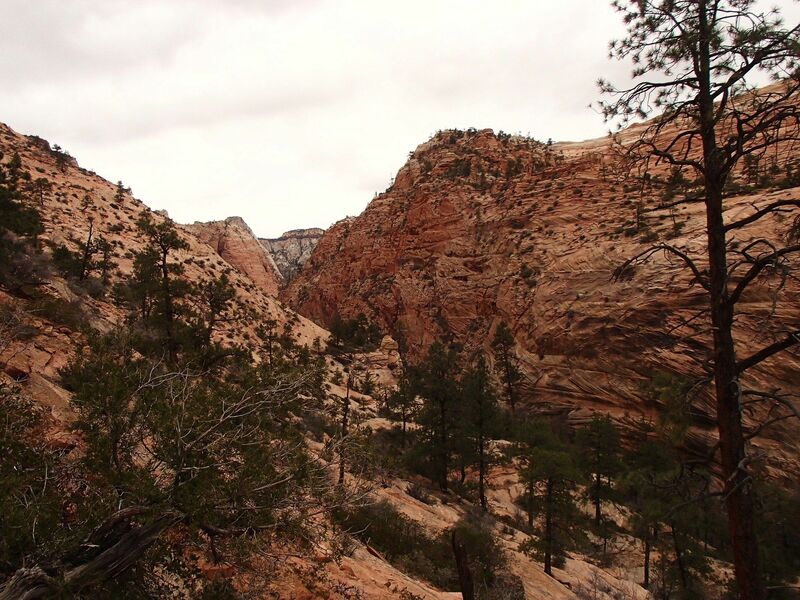 Started at about 0830, reached Angels Landing at about 1000 with minimal traffic on an overcast and lightly drizzling day. 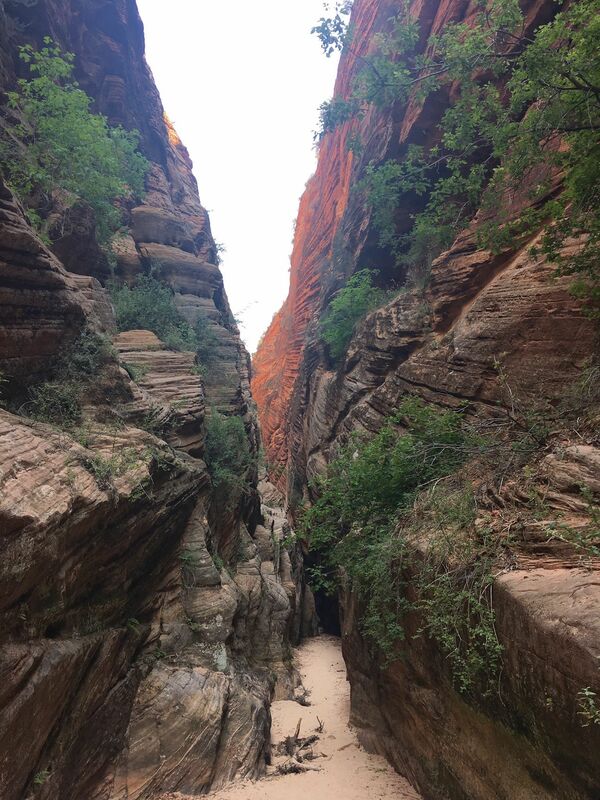 Only recommendation would be to wear proper shoes - the amount of people struggling with the descent because they were just wearing sneakers was a bit worrying! 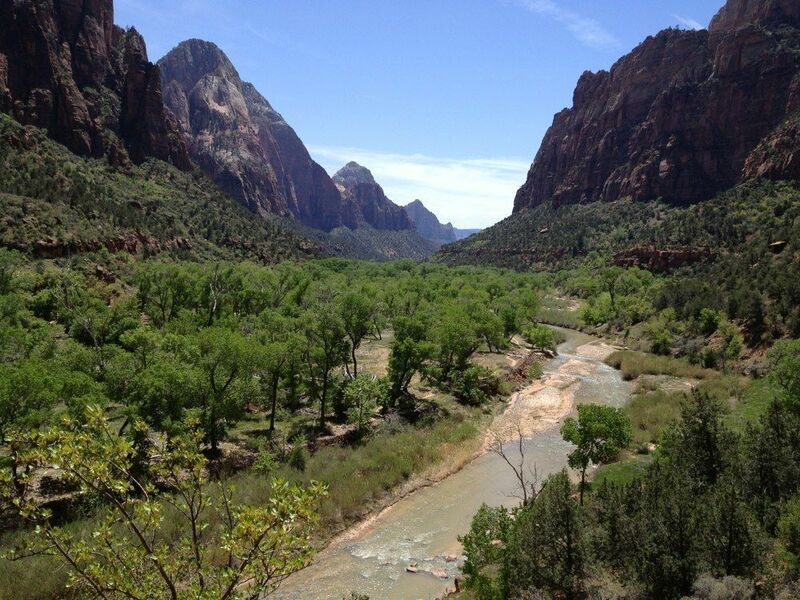 The river was beautiful and the sights breathtaking. The walk was easy and paved. The squirrels are everywhere holding their hand out for food... a few of them leaned on my husbands leg - clearly not afraid of people.... we had a beautiful deer sighting on our way back- this walk was the highlight of our day. Yes it’s short....but as a chubby hiker not exactly easy. It’s a steep walk almost all the way. I took my time, had walking sticks, and it was worth it. The view was spectacular! 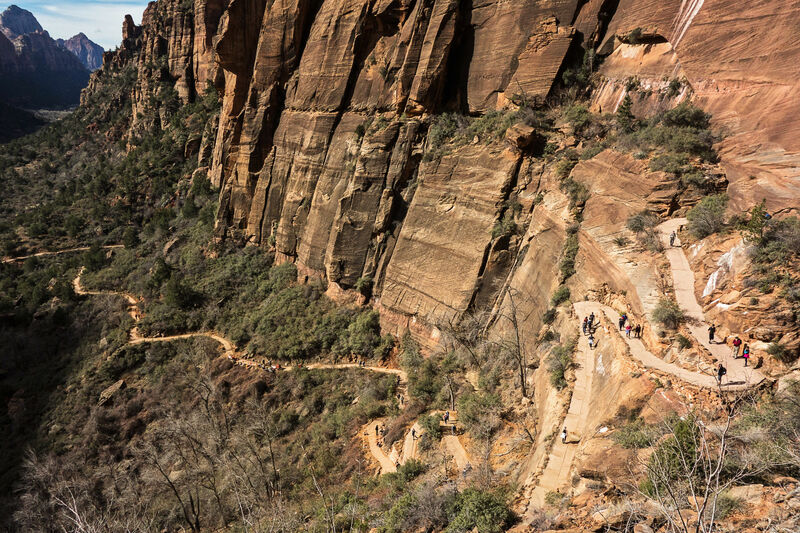 Fairly easy rocky trail. Great views. Wow. The view is seriously stunning beyond language. 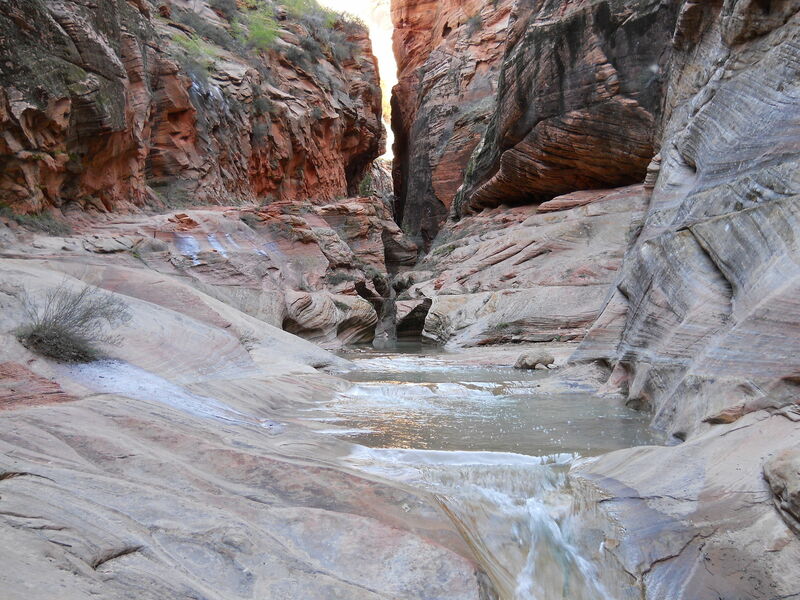 It was a bit of a trek to get to with the tunnel being closed, and the rockfall blocking echo canyon, but SO WORTH IT. There were only two other folks at observation point. Pure beauty and solitude. The roads were fine going up, but some intense muddy potholing within the last 0.5 mi convinced me to park before the official lot. No snow to cross on trail. Great trail. Log-Jammed going up the chains. Open Highway going down. Chains Section On par with Half-Dome’s Cables but with a fraction of the total mileage. Very crowded trail. 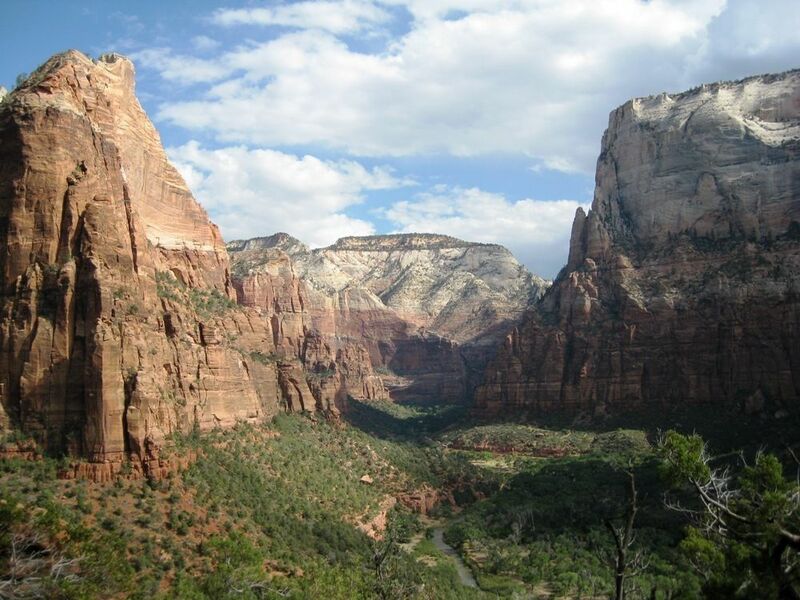 This would be a great trek for groups with children. Would be a lot more impressive if you were able to go after a large rain, the waterfall feeding the pool would be pretty cool to look at. If you’re needing to choose between this trail and another one, pick the other one as this will probable be our least memorable hike of our 4-day trip. 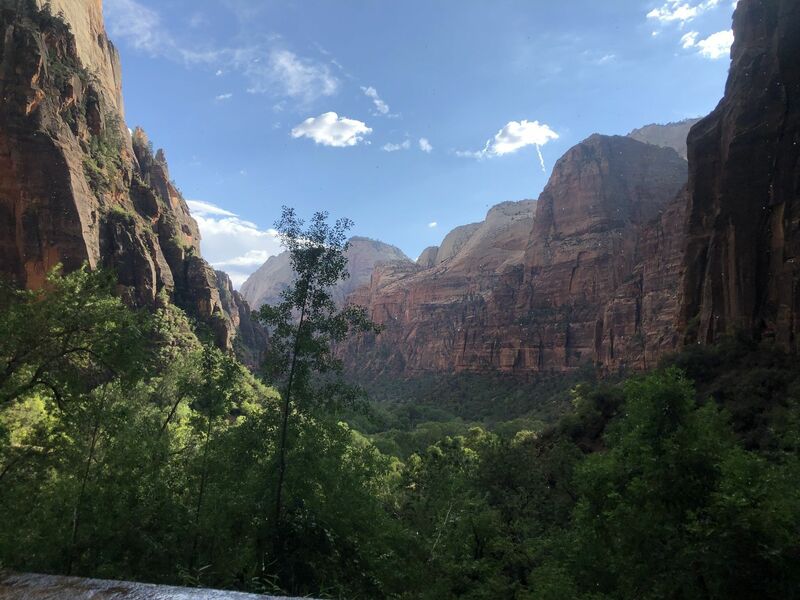 This provided some good views of the surrounding canyon that we didn’t see elsewhere in the park but we would probably rate it as our least favorite hike we did in Zion. Didn’t see until afterwards that if you go clockwise around the loop you don’t have to deal with as much sand. 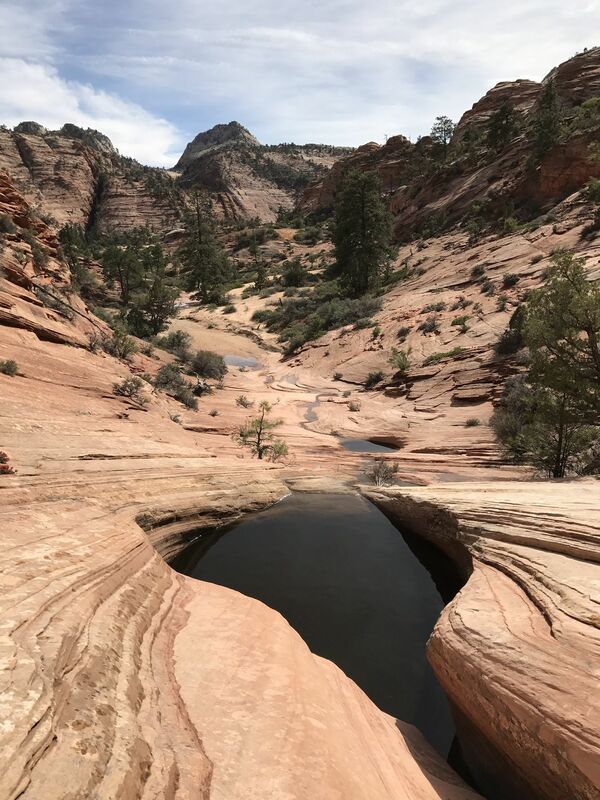 Some places you can walk on the sides of the trail and avoid it but if you go on this hike, expect to encounter some sand. Trail would probably be pretty messy in the rain. 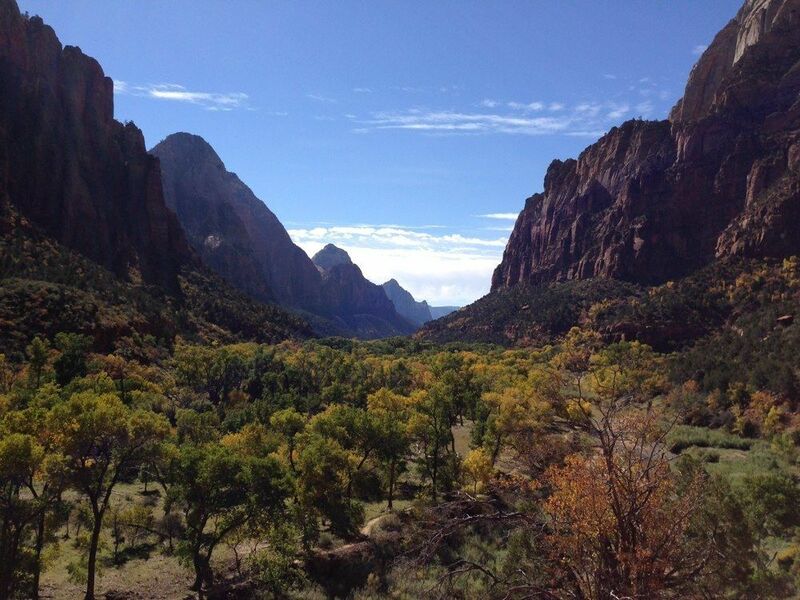 This is my first hike in Zion... I was a little out of breath here and there but in general it was easy and beautiful!! Nice view. Very Sandy. Watch out for horse dune and horse flies. 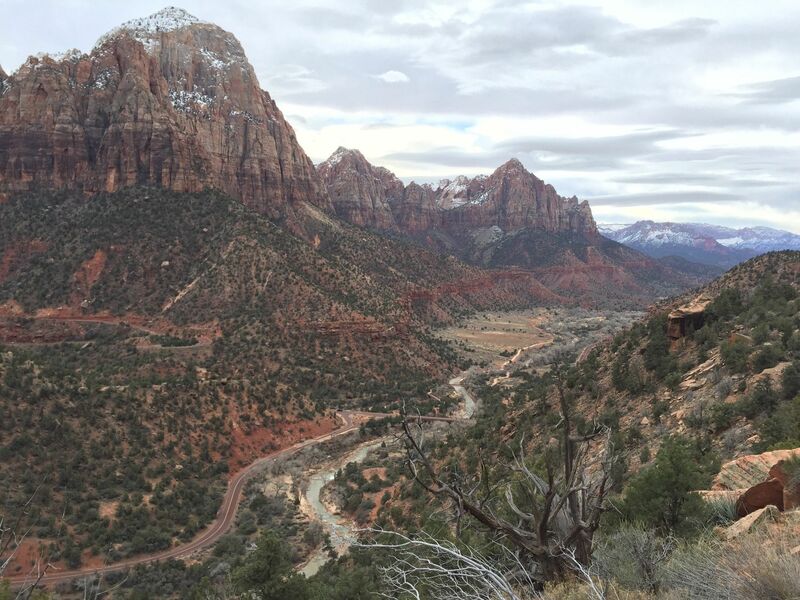 Did this hike from The Grotto up to Campsite #1. 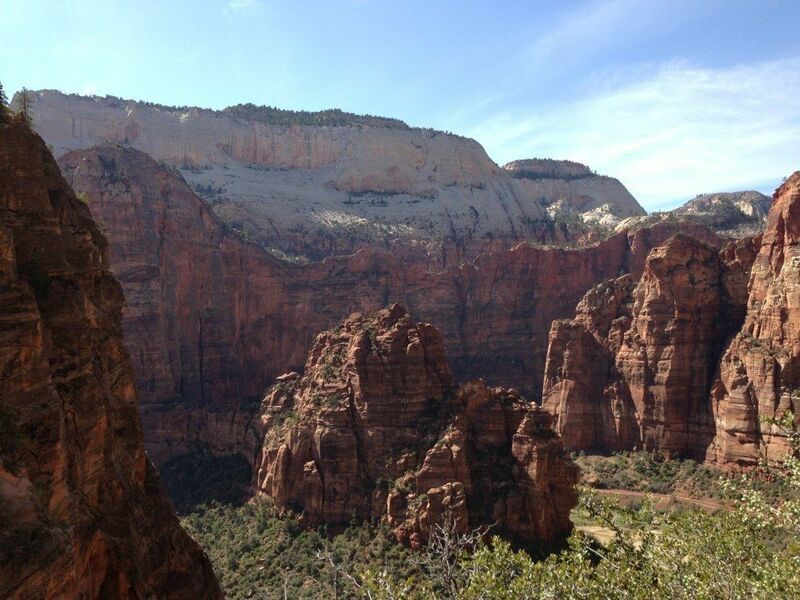 Trail to Scouts Lookout was crowded per usual but once you pass the Angel’s Landing crowd it thins out significantly. Almost completely uphill with patches of snow about a mile past the junction. Crampons weren’t necessary but could be helpful. Trekking poles are a must to maneuver and balance through it, specially in the early morning coming back down. Dropped our packs and set up camp in site #1 (best site in my opinion) room for four small tents and in the cover of trees. 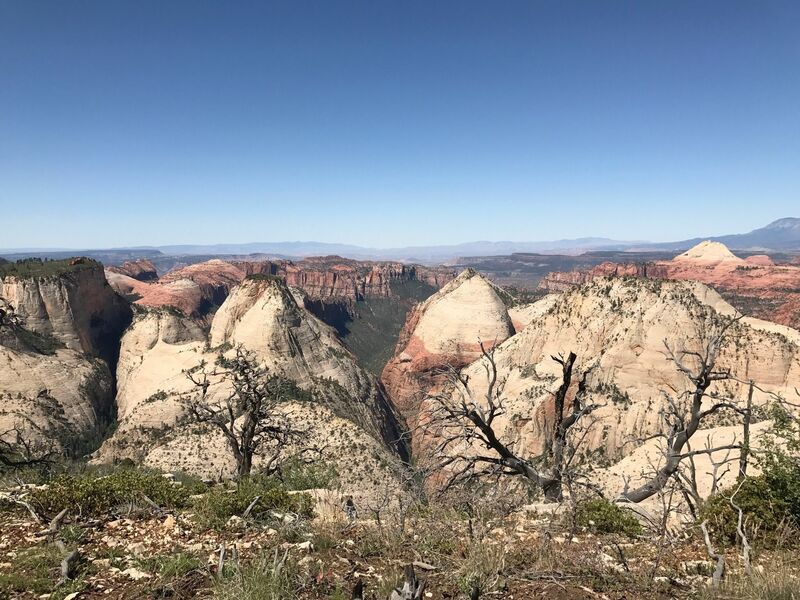 Hiked the West Rim/Telephone Pole Loop, West Rim is beautiful with the best views, Telephone Pole Canyon trail gets lost in snow, crampons and Poles were absolutely necessary to make it through. 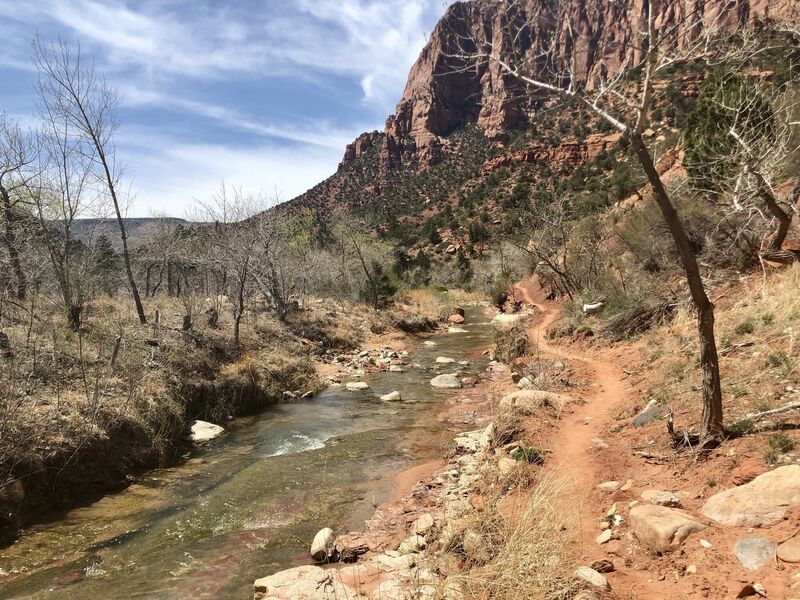 Permit Station said Cabin Springs was running but dry two days ago, luckily with melting snow there is plenty of other water sources along the trail! 4/10/19 - I can’t offer much outside of what all the others have reviewed. We were up and back in 4 hours with lots of traffic. Winds were gusty in the pass and at a few other points, but we never felt too uncomfortable. There’s a touch of scrambling and lots of quad burn, but certainly worthwhile if heights aren’t bothersome. 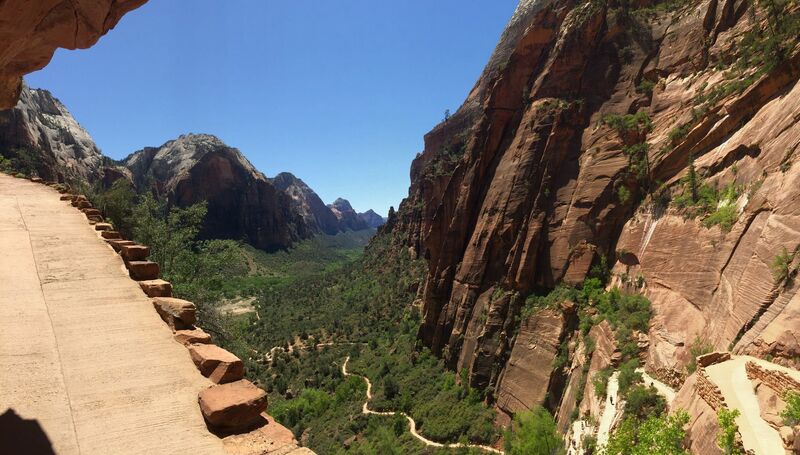 If the trail to Observation Point is open and you have the time, I’d opt for that less crowded route. 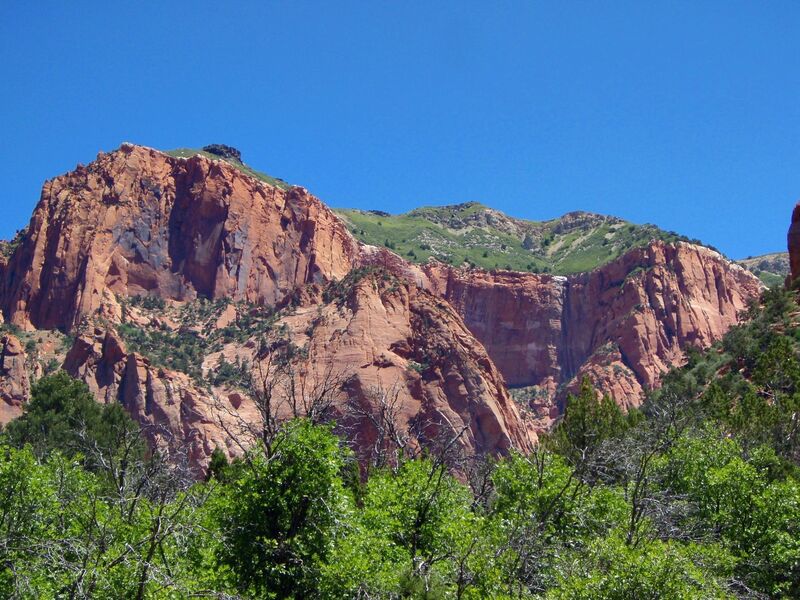 Great hike, if done top down has 3 small repels that can be scrambled down if you are comfortable climbing. Outstanding trail! 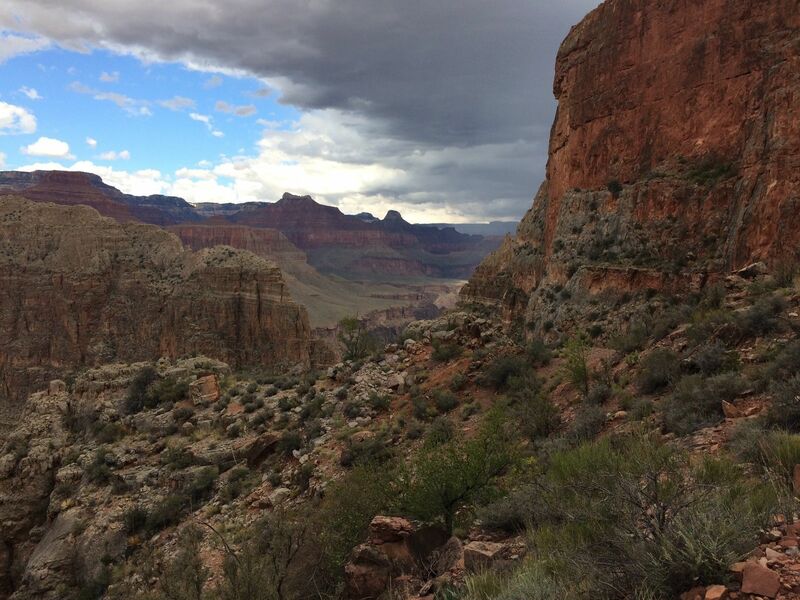 Herds of people thin rapidly once you continue up the canyon. Snow only in a few places, nothing deep. Great views throughout. 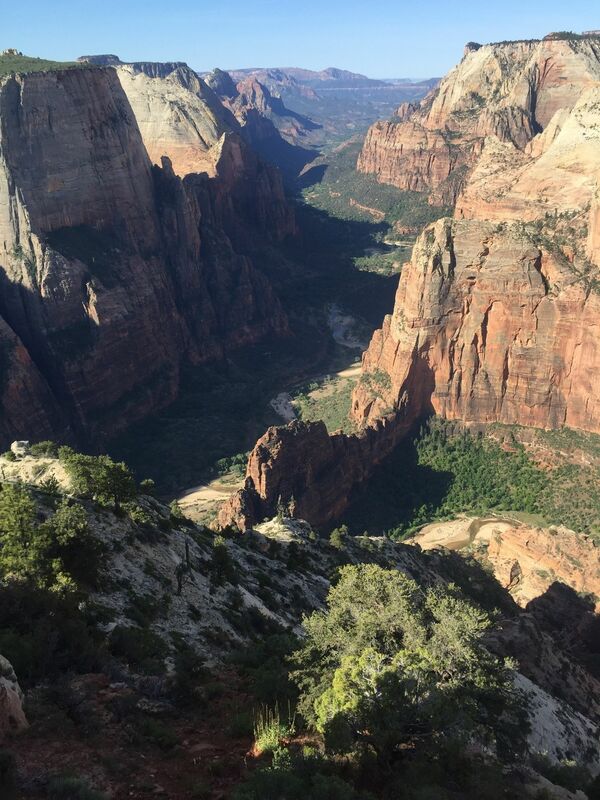 Did this after completing Angel's Landing. Busy but nowhere near AL craziness. Good views throughout.